Great night at Carablanca on Friday 7th March!! Juan Martin Carrara & Stefania Colina came to teach the intermediate class in the main hall - a class of vals double times and decorations. 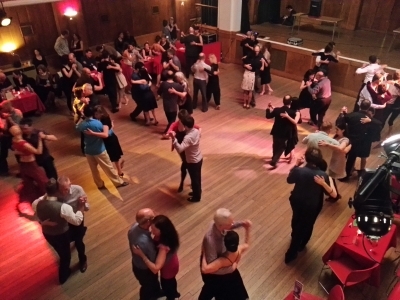 And then they showed it all again to us in the demonstration later in the evening - with a Tango, Vals and milonga in their show repertoire - they were superb! And great music from the DJ of the evening -Mariano.